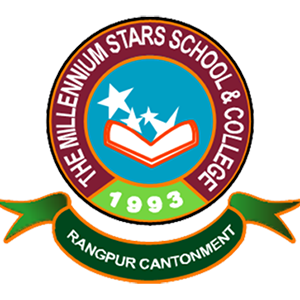 ﻿ The Millennium Stars School & College, Rangpur – In Search Of Exellence. The Millennium Stars School and College started its journey on 23rd January 1993 with Play, Nursery, KG-I and KG-II classes and its previous name was Cantonment Public School and College (English Medium). The present academic building was established on 19th February 1998. It was re-named as The Millennium Stars in 2000. Gradually it was extended up to class ten and the students appeared for the first time at SSC examination in 2006. In the same Year College section was opened and the first batch appeared at HSC examination in 2008. This institution got the registration of School section from Dinajpur Board in 2008 and students appeared at SSC examination under the name of The Millennium Stars School and College. The registration of College section is under process.